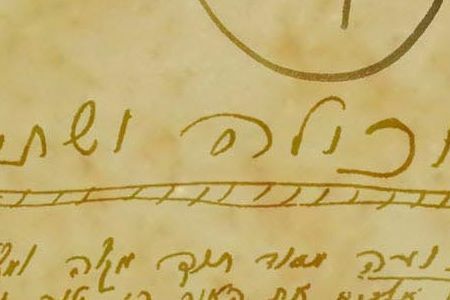 Half a shekel is the condition that one sets for oneself from within, in one’s own scrutiny and correction, so as to never come to a state of drawing lights for oneself, from above downward, but always receive lights from below upward, in rejection. This is how we discover Ein Sof (infinity). The problem is that when we constantly draw for ourselves we can only see the layer closest to us, known as “this world.” All that stands behind this layer is worlds, Ein Sof, eternity, wholeness, which are hidden from us and are cut off from us. If we perceive reality not by drawing to ourselves but by exiting ourselves we will suddenly discover Ein Sof. Is it we who determine the half shekel? Without the half shekel we cannot begin to work with the Torah. Each of us must give the half shekel. We must set ourselves up in such a way that from this moment on our instrument for the revelation of Godliness will be the half shekel—balance, only giving, and in as much equivalence of form as possible.